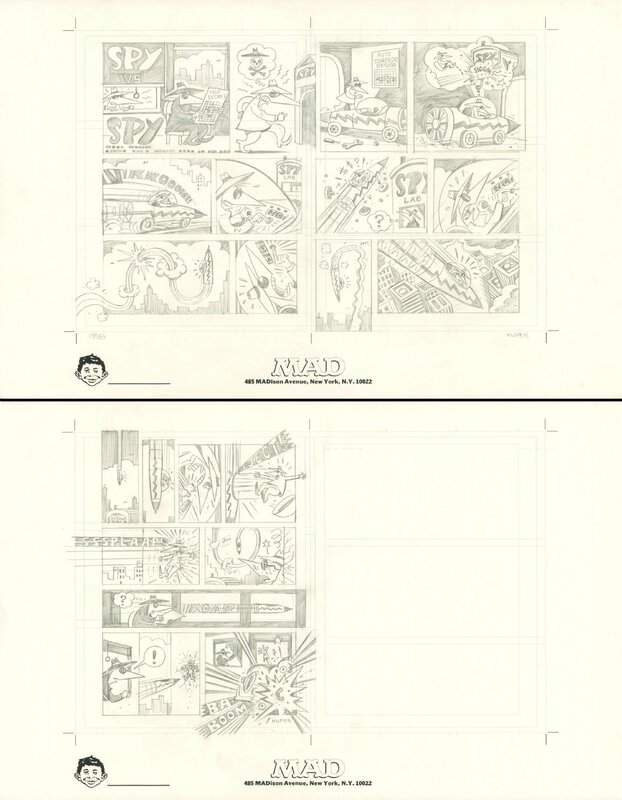 the pencil art for a 3 page Spy Vs. Spy in Peter's trademark style (2 pages on one piece of paper, the 3rd on another). Peter used these pencils to create the stencils to produce the finished artwork. Pencil on paper, 22 x 14 inches each. Excellent condition. Signed by Kuper.